We usually enjoy sardines fried or baked. 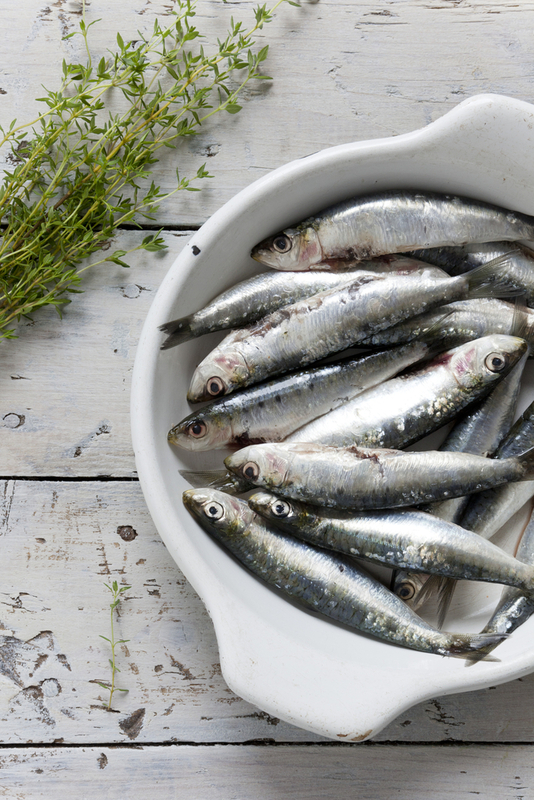 Baking sardines in the oven is a very easy, simple but delicious way to cook these fish. All you need is garlic, Greek oregano and esti extra virgin olive oil! In order to clean the sardines all you have to do is to remove the scales and intestines. In a bowl mix olive oil with lemon juice, oregano and garlic. Season with some salt and pepper. In a baking pan lay the sardines evenly. Pour over the fish the olive oil mix. Bake for 30-40 minutes. Exact time depends on the size of the fish. Serve with some fine Greek Assyrtiko wine!